Fabtech Solutions offers hydraulic oil filtration for customers that want to improve machine performance and avoid equipment downtime. Our filtration service removes contaminants and particulates from hydraulic oil utilizing in-line filtration which allows the equipment to function while being serviced, we offer an on-site and no downtime hydraulic filtration service and repair. If your concerned about the health of your hydraulic press brakes or other machines, hydraulic reclamation can return the original performance that you expect. Our Service Engineers can visit on-site to effect repairs and maintenance. Hydraulic oil filtration happens in-line with the running equipment, production never stops and there’s no downtime. We utilize a multi-pass filtration system that continuously cleans the hydraulic oil which produces ultra-fine contamination control. The oil is better than new and production never stopped. 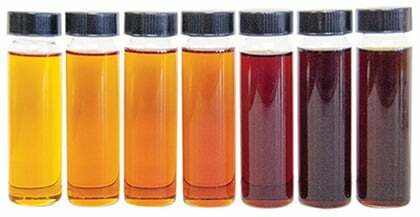 Aging hydraulic oil is a major cause of diminished performance and will eventually lead to equipment failure. Over time and with normal use, metal particulate and moisture build up creates an environment that causes the degradation of the hydraulic ream seal and o-ring, as well as the pump and valve seals. The hydraulic system is vulnerable to moisture and particulate build up. The presence of contamination will eventually lead to breakdown or hydraulic press failure. Unscheduled equipment downtime can be avoided with regular maintenance and oil filtration. 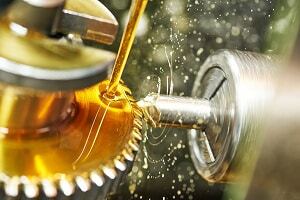 Many of our customers never knew that Hydraulic Oil could be filtered instead of replaced. Filtration and contamination control is a good form of preventative maintenance. Although filtration is only effective for so long, routine usage and normal wear and tear will eventually cause contamination. Proper control involves not just removing particles but also guarding the system from susceptible areas like breather points, valves and attachment fixtures for hoses and seals. Cleansing hydraulic oil is normally considered to be of secondary importance next to the primary function of metal fabrication equipment, it is normally neglected and over looked as an important step in preventative maintenance. Are you troubleshooting these common issues? Hydraulic service and reclamation can be performed on almost any system; from Press Brakes and Ironworkers to Precision Shears, Metal Saws and Drill Presses. Fabtech Solutions provides service and repair for non-brand specific machinery as well as all popular makes and modals; such as Durma, Piranha, Accurpress, Amada, Hydmech and more. South Carolina, North Carolina, Virginia, Georgia, Florida, and Tennessee. Talk to us today and schedule service!